Goes without saying, seeing that we’re called Night Owl Cinematics, but mornings aren’t really our thing. And I’m sure many of you can relate to that. 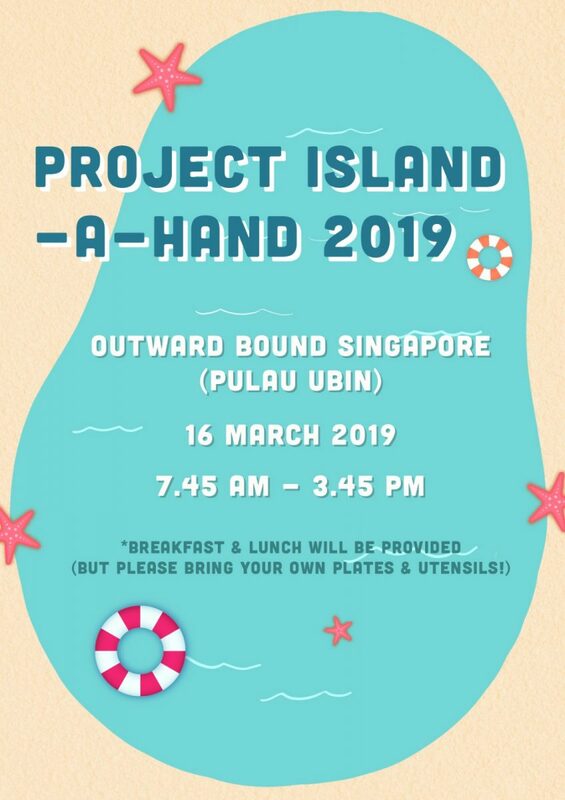 However, on 16 March 2019, Sylvia, Grace and Aiken willingly left the loving caress of their comfy beds in the early morning to participate in Project IsLand-A-Hand (PIAH) 2019 that is organised by Outward Bound Singapore (OBS). 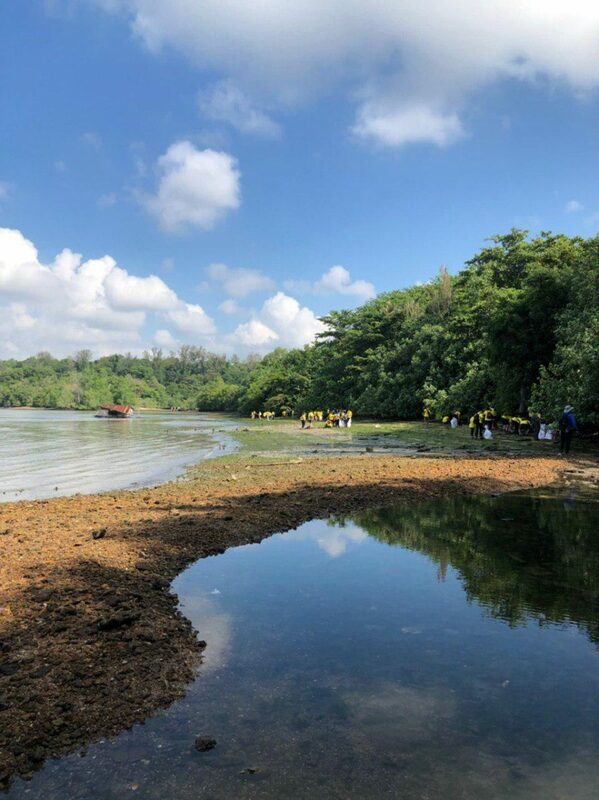 PIAH is OBS’s signature event that focuses on environmental conservation in both Pulau Ubin and mainland Singapore through activities such as coastal clean-up, tree mulching and weeding along with raising awareness of environmental sustainability. The objectives of this exercise aims to encourage participants to have a deeper appreciation for our environment, learn ways to conserve and protect the natural biodiversity and wildlife as well as to empower citizens to be ambassadors of a sustainable environment. Singapore is famed as a garden city and visitors to our city-state is often awed by how clean and green our country is. As Singaporeans, this is something that we should be proud of. But this reputation does not come easily. Most of the effort in keeping our streets clean actually comes from the many cleaners that work tirelessly day and night to clean up our city. And as residents, we often take the cleanliness of Singapore as a given to the extent that many of us might have even contributed to the litter ourselves, expecting it to “automatically” disappear by the next day. Well, the litter do disappear, but it’s definitely not by magic. However, even with the help of the multitudes of cleaners that Singapore has, Singapore isn’t completely devoid of litter. As such, Project IsLand-A-Hand aims to expose volunteers to the concept and the importance of doing our part to keep our environment clean. And what better way to do that than to actually put ourselves in the shoes of the cleaners for a day? 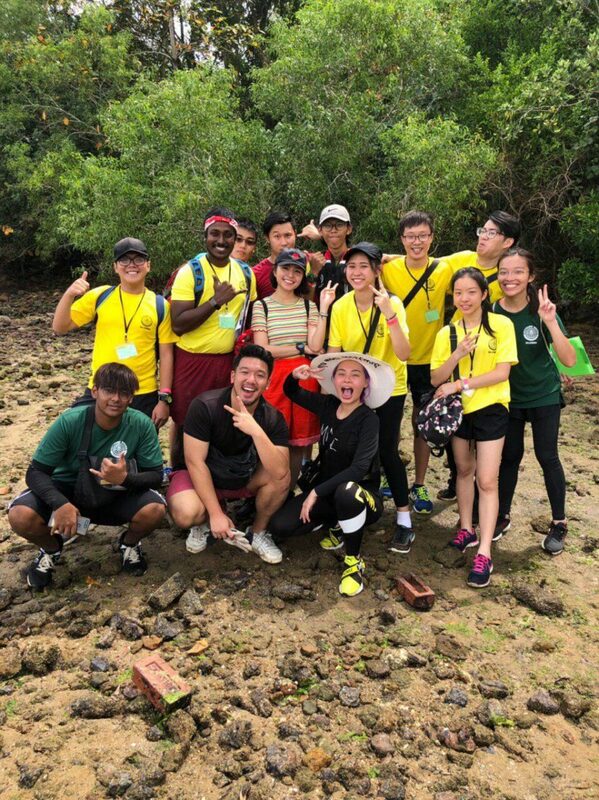 Sylvia, Grace, and Aiken, along with a number of youth volunteers found themselves on the shore of Pulau Ubin on a early Saturday morning to witness for themselves the fact that Singapore isn’t entirely clean. 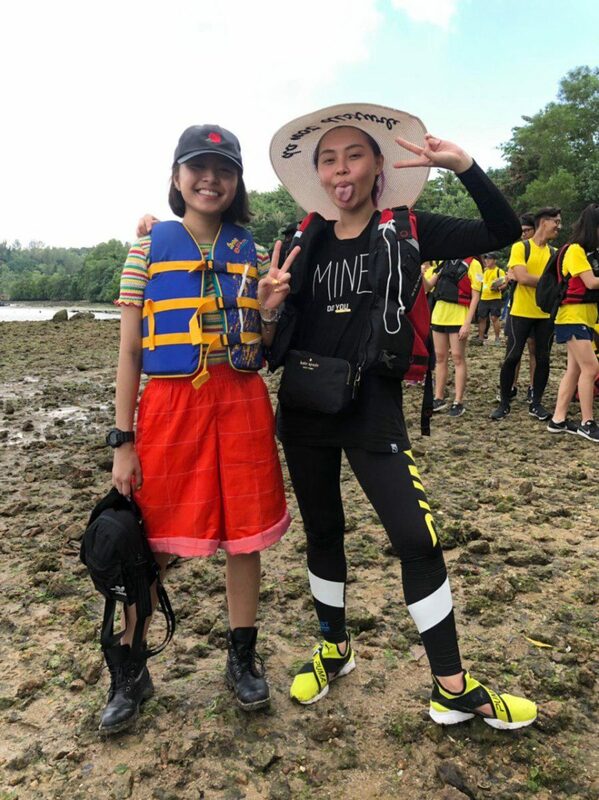 And their role for the day is to make an impact on the cleanliness of the coastal areas of Pulau Ubin in hopes that the act of keeping the environment clean will stick to them and they are able to bring it forward to their daily lives. 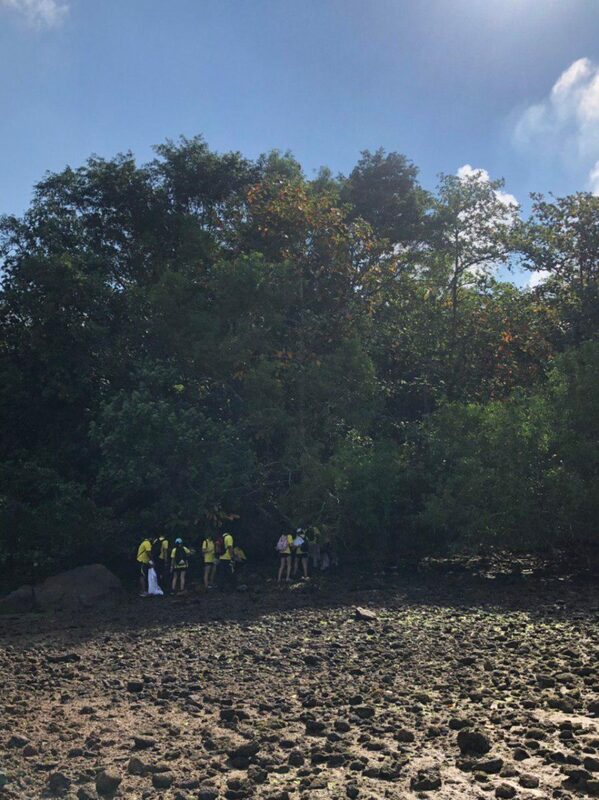 What’s notable about PIAH is that the facilitators leading the group made sure that each and every participant is safely taken care of during the process of cleaning up the coastal areas. Safety instructions, as well as life vests are provided for in the event that anyone treads too deeply into the waters. While it was not necessary to step into the waters at all during the cleaning up, it is exemplary of the facilitators not to overlook the “just in case”. The usual culprit that is often found lying on the shores of Pulau Ubin and any other shores for that matter, is plastic. From plastic bags, plastic sheets to plastic bottles, anything plastic, you can probably find it. They are also the most damaging to our environment as they not only just dirty our sea waters and coast, they are a health risk to our already lacking marine life. The fact that plastic is non-biodegradable, means that when it’s out floating in the seas, it will remain there forever till it’s washed up on a shore somewhere or unfortunately entangled or swallowed by a marine animal. This usually results in the animal’s illness or even death. The customary group photo at the end! After a grueling morning scouring the shores of Pulau Ubin and making sure that the island is much cleaner than when they stepped foot on it, Sylvia, Grace and Aiken called it a day while the rest of the youth participants proceeded on with the other fulfilling activities led by the leaders of OBS that our “old folks” were clearly too fatigued to take part in (lol). Where is our youth?! 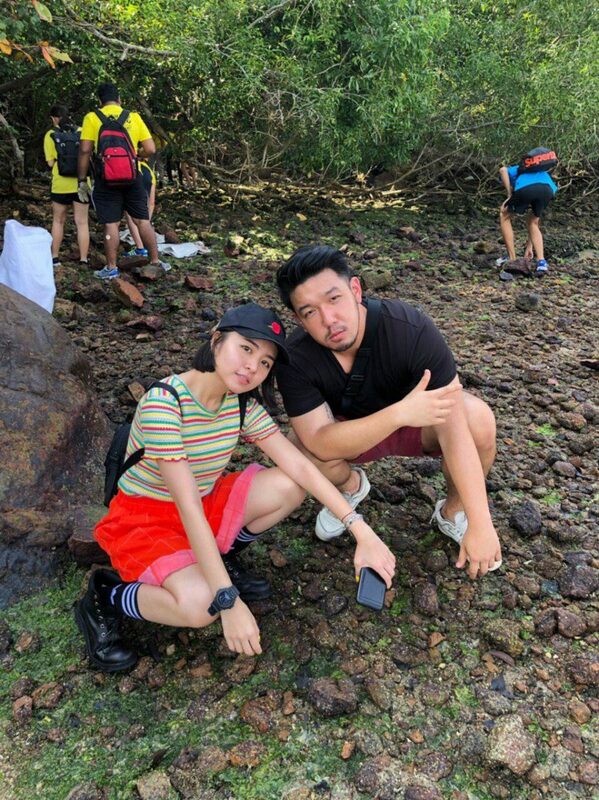 At the end of the day, we are grateful to have been provided with this opportunity to see the literally dirtier side of Singapore as well as the chance to make a positive impact on our environment and cleanliness. It is inevitable to take what we have in Singapore for granted, and we are probably desensitised to documentary videos about the pollution problem of the world. However, what Project IsLand-A-Hand offers is the chance for us to look at our environment in a different perspective with our own two eyes as well as the chance to make a difference. If you’re keen to participate in any similar activities organised by Outward Bound School, check out their website as well as follow them on Facebook for any future event updates!